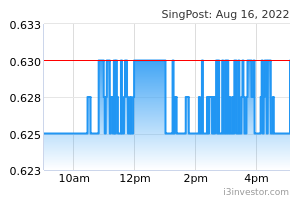 SingPost reported S$32.9m of core PATMI (-7.5% y-o-y, +17.0% q-o-q) in 3Q19. All segments except e-commerce saw improved performance y-o-y and q-o-q. Maintain HOLD. A positive outcome from the review of its US operations is a catalyst while impairment of its US operations is a key risk for 4Q19F. SINGAPORE POST LIMITED (SGX:S08, SingPost)’s 3Q19 net profit rose 15.6% y-o-y, boosted by S$42.7m exceptional gain on dilution of 4PX, but offset by S$7.5m fair value loss on warrants from GD Express and S$2.5m provision for contingent consideration. Excluding these, core PATMI would have been S$32.9m (-7.5% y-o-y), deemed broadly above our expectations and in line with consensus. 9M19 core PATMI formed 85%/82% of ours/consensus full-year forecasts. Post and Parcel recorded 9.0% y-o-y increase in 3Q19 revenue, due to higher e-commerce deliveries on the domestic postal network and cross-border volumes for the Double Eleven event in Nov 2018. Operating margin (OPM) held steady at 22.3% despite stronger growth in the less-profitable international mail (+16.3% y-o-y). Investing in infrastructure and enhancing service quality remain paramount to SingPost to defend its margins and market share in this segment. SingPost saw slight improvement in logistics’ operating profit to S$1.8m (3Q18: S$1.0m, 2Q19: S$0.3m), driven mainly by Famous Holdings’ freight forwarding business and narrowing of losses at Quantium Solutions (QSI). Review of major customer contracts for QSI is largely completed with initiatives in the pipeline to grow business. The biggest drag for SingPost continues to be its US e-commerce operations, as it reported 3Q19 operating loss of S$13.4m (3Q18: -S$4.5m, 2Q19: -S$11.2m), despite a 8.7% y-o-y rise in topline, which we attribute partly to provisions for ongoing contractual disputes with customers. We expect prolonged turnaround for its US businesses and see impairment risk in 4Q19F, given the intense competition and rising number of bankruptcy cases. SingPost’s US businesses have an estimated carrying value of S$90m-100m. 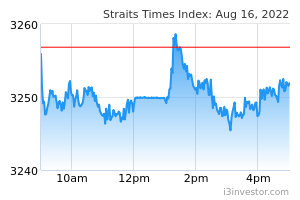 Hence, we lower our DCF-based Target Price to S$1.03 (7.5% WACC, 1.5% LTG), which implies 19.7x FY20F P/E. While the industry outlook remains challenging, we keep our Hold call, premised on 3-4% dividend yield and trading valuation of 0.5 s.d. below historical mean. Impairment and heightening competition are the main downside risks, while a positive rom the review of its US presence could be a catalyst.